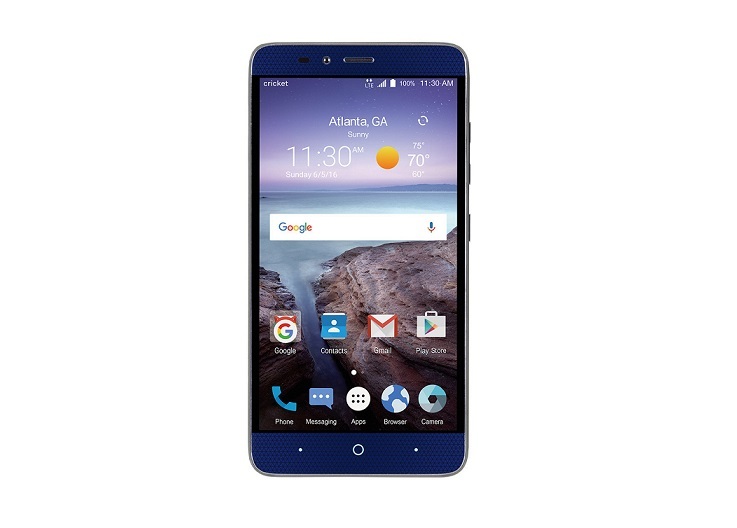 ZTE in collaboration with Cricket Wireless has come up with yet another budget prepaid smartphone named ZTE Grand X Max 2. This monstrous 6 inch phablet is meant for those who doesn’t care of the smartphone size. Priced at $199, it’s the cheapest 6 Inch Android prepaid phone available in United States and comes with Android 6.0 Marshmallow out of box. ZTE Grand X Max 2 has 6 inch full HD display and it’s powered with Qualcomm processor with Octa core chipset clocked at 1.5 Ghz. It’s coupled with 2 Gigs of RAM and has 16 GB internal storage. That’s too low, because only 12 GB will be user available as other will be consumed by system resources. Good thing is you can pump-in a micro SD card slot of maximum up to 64 GB storage because it has a dedicated micro SD card slot. ZTE Grand X Max 2 gets 3400 mAh battery, large enough for 5 Inch smartphone but Grand X Max 2 is 6″ in size, still good enough. Since its powered with Qualcomm processor, we have Quick Charge 2.0 technology support as well. Camera-wise we have dual camera assembly on the back with 13 mega pixel + 2 mega pixel sensor on the rear side and 5 mega pixel front facing snapper.